According to Mirror, the German coach wants to renew the squad and has made a list of seven players that could be dispensed with next season. Despite the extraordinary season of Liverpool (maintaining a dizzying pulse with the City in the fight for the Premier and with a foot and a half in the semifinals of the Champions), Jurgen Klopp is already planning the next year. 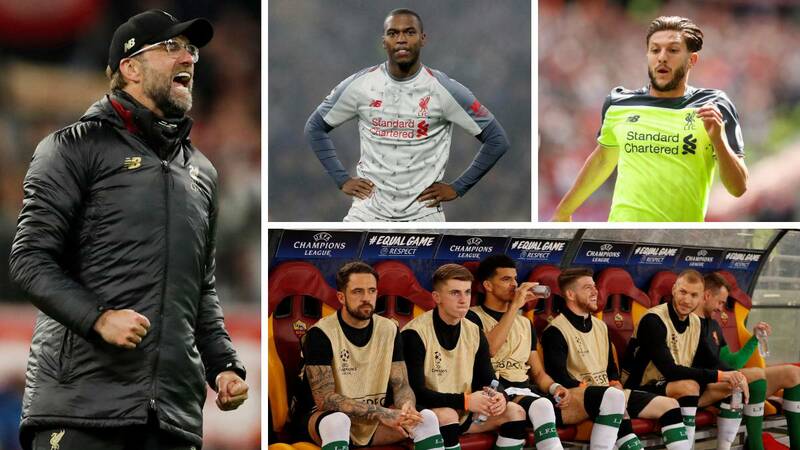 The German coach wants to consolidate a project that is returning Liverpool to the top of the European scene after an irregular decade and for that he wants to renew a squad that has fallen a bit short (his eleven have hardly changed in recent months). According to the British newspaper Mirror, Klopp already has a list of ten players with whom he barely counts on those who would not mind giving up to bring new reinforcements. Succeeded in January to Bournemouth after not having counted just for Klopp in the first round (only played four games between August and December), p seems almost certain that the side will stay in his current team, that according to aim from England, intends to sign Clyne in property. Sin space in immovable attack trident (Salah-Firmino-Mané), Sturridge has only played two full games this season of the 24 games in which he has participatedo. In addition, it does not mark in league from September. Robertson's irruption in the left lateral one made that the Spanish disappeared of the plans of Klopp, that in addition, has preferred to Milner to replace the English when this has been lacking. It will leave almost sure. Your future is unknown. He is a player of extraordinary quality but the injuries have diminished his performance in the last two years. AKlopp likes it but does not consider it nontransferable. If a good offer appears for him, he will leave. He was a substitute for Karius last season and he is now even more so with Alisson. If you want to have minutes you will have to look for equipment. Your situation is similar to that of Sturridge. The trident is nonnegotiable but unlike his British teammate, the Belgian has taken more advantage of the opportunities that Klopp has given him and that is why he is having more participation in this final season of the season in which Liverpool plays it all . Your case is exceptional. Vital to Liverpool this season, it has been the Van Dijk couple that Klopp has used the most. However, this continuity is mainly due to the absence due to injury of Joe Gómez, whom the club considers a future power station. In addition, the center of the rear is one of the positions that the German coach wants to reinforce so his future is very open.